Gourdon, located next to the Perigord, is the historical capital of the Bouriane region. It's positioning on the gentle slopes that lead down to the Dordogne River ensures that it can be seen for miles around. In the 18th Century, walls were built around the town creating a circular boulevard. The history of the town can be traced as far back as pre-history when men and women decided to take refuge in the local caves. They were keen to show off their artistic talent and decorate their homes, much to the delight of the local tourist industry. The most prominent landmark is the church of St-Pierre, built in 1302 along with two 100ft towers. A gallery runs between them offering a fantastic view of Gourdon. Further up the slope, history has been harsh upon the town's castle, now reduced to ruins, yet it's still a great place to go with its unsurpassable views out over the valley. Nearby you will discover the notorious Rue ZigZag with its wonderfully preserved medieval housing. 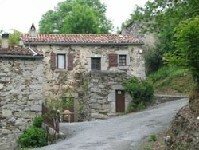 If the quaint charm of Gourdon is still not enough for you then the surrounding area has plenty to offer as well. Three of France's most popular tourist destinations are not far away. Sarlat and Eyzies are to be found to the north, Cahors to the south and Rocamadour to the East. There is plenty of local cuisine on offer within the town. Truffles and Fois Gras are among their specialties, although the goat's cheese that they produce is also quite exceptional. One of the town's finest restaurants is the Hotel de Ville. It was built in the 13th Century as a consulate yet has existed in its current form since the 1700's. The nearest airports are Toulouse, Bordeaux and Limoges. All three have regular flights from the UK. The TGV service will also take you to these three destinations. Property prices are on the increase across the region. Despite Gourdon's proximity to the highly saturated department of the Dordogne, there is still a great deal of affordable property with many needing renovation. Do you know Gourdon better than we do? Do you have photos of Gourdon? Gourdon is located in the north of the Midi-Pyrenees region. It can be found just North of Cahors, the capital of the Lot department. It sits a few kilometres south of the Dordogne River. Access: Bordeaux, Toulouse and Limoges hold the nearest airports and TGV stations. Economy: The Gourdon economy includes many traditional arts such as glass art, glass blowing, enamel and silk painting, perfume creation and refining, production of toiletry products and soaps and pain d'épices making. Interesting fact: A number of cave paintings dating from pre-history are to be found near the town.